Anton “Toni” Hafner was born on 2 June 1918 at Erbach near Ulm located in the Württemberg region. After completing his training as a pilot in 1940 he joined the Ergänzungstaffel JG 51 (reserve flight). 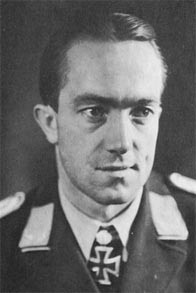 On 23 February 1941, Gefreiter Hafner joined 6./JG 51. On 29 March he crash-landed at Mardyck. Hafner was wounded and his Bf 109 E-4 (W.Nr. 3766) was 80% damaged. Hafner recorded his first victory operating over the Eastern Front on the 24 June 1941, and by the end of the month he had added another victory to his account. He had recorded 14 victories by the end of 1941. His 25th victory was obtained on 21 March 1942. On 5 July, he claimed seven Russian aircrafts shot down to record his 35th through 41st victories. On 23 July 1942, Feldwebel Hafner shot down his 50th enemy aircraft and, on 22 August, he destroyed his 60th and received the Ritterkreuz on 23 August. Hafner was then granted leave. Hafner returned to combat duty in November 1942, by which time II./JG51 had transferred to Tunisia. Hafner, flying with 4./JG51, succeeded in destroying a RAF Spitfire fighter as his 63rd victory and his first in the Mediterranean theatre on 16 November.  On 2 January 1943, II./JG 51 engaged a formation of Hurricane and Spitfire fighters. In the subsequent combat, Hafner was hit probably by British ace Robert Oxspring (13.333/2/13 victories, D.F.S.) of 72 Sqn, RAF. He was forced to bail out of his Bf 109 G-2 (W.Nr. 13 985) but hit the rudder of his plane and suffered a splinter fracture of his hand. He spent six months in a German hospital as a result. He had 82 victories his credit at this time. Bf 109G-6 W.Nr. 442 013 "Black 1" of 10./JG 51 in which Toni Hafner died on 17 October 1944. In August 1943, Hafner returned to the Eastern Front with the Stabstaffel of JG 51, a unit equipped with the Focke-Wulf 190 A. On 15 October, he shot down three Russian aircraft (98-100). On 20 October, he shot down five enemy aircraft (102-106) and five more on 28 October 1943 (107-111). He shot down seven Russian aircrafts on 22 February 1944 (126-132), his 134th on 27 March and five on 24 June (140-144). Leutnant Hafner was awarded the Eichenlaub (Nr 452) on 11 April for 134 victories. On 15 May, he took over 8./JG 51 from Hauptmann Fritz Stendel (49 victories, DK) equipped with the Bf 109 G-6. On 28 June, he succeeded in bringing down his 150th victory but, two days later, his Bf 109 G-6 was hit in the engine while still over the Front. After an emergency landing he was able to return to his unit and was soon back in action. On 15th August 1944, 8./JG 51 was renamed 10./JG 51. He shot down seven Russian Il-2 Sturmoviks on 8 August (162-168). On 21 August, Hafner claimed Il-2 Sturmovik as his 175th victory. On 16 October, Hafner destroyed four fighters (199-202) thus taking him past the 200-victory mark. Hafner shot down a Russian Yak-7 fighter as his 204th victory on 17 October 1944. However, during the dogfight his plane hit a tree. His Bf 109G-6 (W.Nr. 442 013) “Black 1” crashed killing Hafner, the highest scoring pilot of JG 51 “Mölders”. 12:03 P-38 4./JG 51 10 km. S. Tebourba: 6.500 m.
12:18 Spitfire 4./JG 51 5 km. N. Tebourba: 2.200 m.